Having a Mouse in the house, also called Mus Musculus, is an annoying and troublesome pest to have. It is also one of the most common pests in America found in homes, restaurants, warehouses, and hotels. 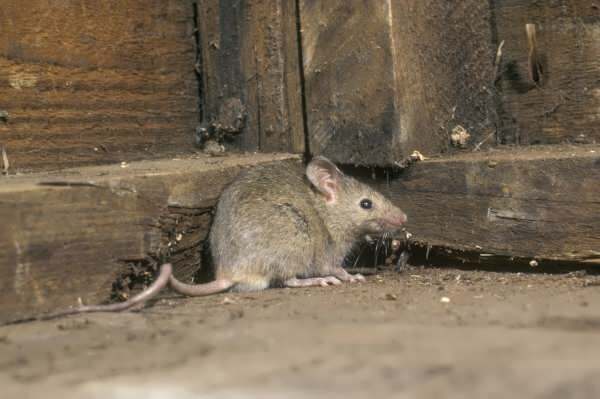 As mice are known for needing little space to live, they can hide in little corners in your basement rafters, your attic, garage, or your crawl space, and look to build a nice little home. House mice can consume human and pet food, as they need a shelter and constant source of food besides the nuts and seeds they store for the winter. A mice infestation in the house can easily contaminate your property, food, and the place where you prepare your food as they run around the house looking for food and shelter. Mice are known to contaminate food and places with their feces, that carry a bacterium salmonellosis; which spreads food poisoning. Mice problems in the house can exceed when they start to damage your property. Nest made of shredded paper or fibrous materials. ​The best idea will be to start looking in places you know they can easily build a nest in a while cleaning your house looking for mice droppings. As mice are not active during the day, they will not be seen during normal daytime hours. Mice getting into the house is a huge problem, and can cause you a lot of trouble. There are a few ways to get rid of a mouse pest, but the best method by far is to use an effective pest control company like CJB Pest. These methods include letting you know how to mouse proof your house, treating all active areas, and pinpointing the nesting spots. This is a great way to prevent future problems with mice, as it is a more permanent solution towards mice pest control. CJB Pest will provide you with an inspection report to let you know what should be sealed off or repaired. These places can be soffit gaps, gaps around water pipes, utilities, bay window frames, and vents. CJB also offers repair work to most any opening in the home. (separate quote) But our repairs make sure all the entrance spots will be tightly fit, so there is now way they can make it through. Mice can enter through ¼ inch openings, so professionals like CJB will know what to look for. Exterminating mice in a house is not an easy task for the homeowner, but it is for a professional like CJB. End the reign of mice within 14 days and have the piece of mind with your 6-month Guarantee. Mice problems are something that needs to be taken care of. As they can reproduce six weeks after they are born and reproduce at an exponential rate. Professional – calling in a professional service like CJB is advised when dealing with mice. 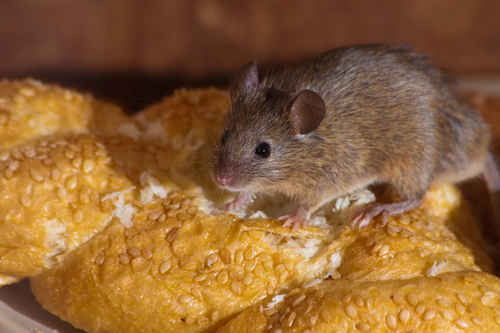 So if you feel you have a mouse pest call a local pest control that services your area. “Do it yourself” common problems – if you wish to take on the challenge personally, you will need gear and tools to eliminate the problem. But inspecting the proper areas, inside and out, to properly ensure elimination, are not common knowledge to the every day homeowner. Leave the pest elimination to CJB and keep your home rodent free!